Eau Claire, WI – January, 29, 2018 -- ARIES, a fast-paced innovator of truck, Jeep, SUV and CUV accessories, has released an all-new high-end running board designed for today's trucks and SUVs. 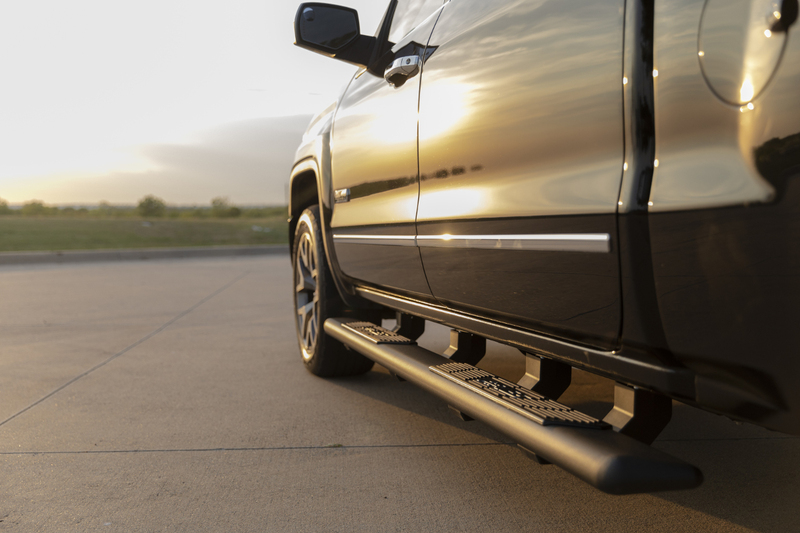 AscentStep™ 5-1/2" running boards feature a sleek profile, unique dual-construction step pads, a highly durable build and a no-drill installation, using the VersaTrac® mounting system. ARIES AscentSteps™ provide a modern accent for modern trucks. They are engineered with an elegant teardrop-shaped profile and seamlessly blended, rounded end caps. This elevated style sets them apart from other similar oval side steps. AscentStep™ running boards also have highly unique step pads with a two-part construction. The step pads are made up of a polyethylene tread that is overlaid by a stainless steel plate. The poly treads protrude through the metal overlay, providing safe, non-skid traction and an aggressive look. The stainless steel plates ensure long-lasting corrosion resistance in spite of frequent foot traffic. To ensure excellent rigidity and weather-resistance, AscentSteps™ are made from powder-coated carbon steel. The powder coat is a durable carbide black finish that offers long-lasting resistance to rust, chipping and UV damage. ARIES AscentSteps™ join a growing list of running boards and side steps that feature the VersaTrac® system. VersaTrac® is a mounting system introduced by ARIES that uses vehicle-specific brackets to mount onto each unique vehicle application with no drilling or tedious modifications required. 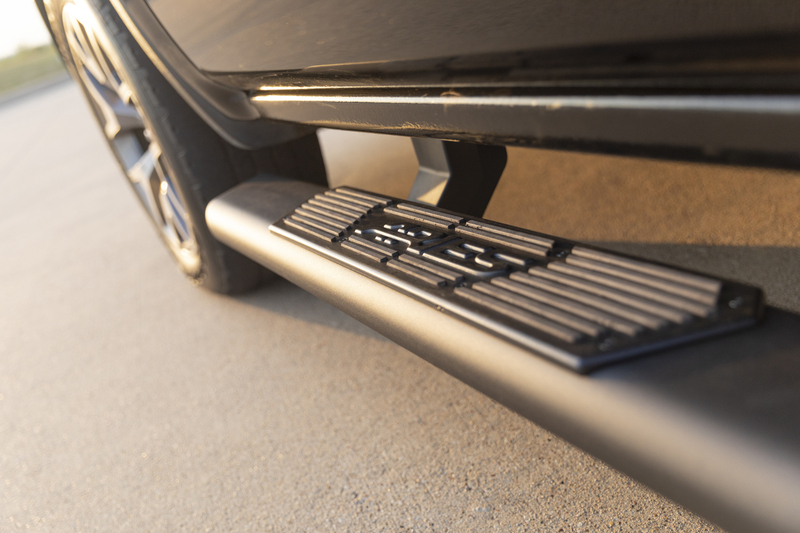 With the brackets installed, any running boards or side steps with the VersaTrac® system can be attached. This allows for more customization opportunities and makes inventory easier for dealers. 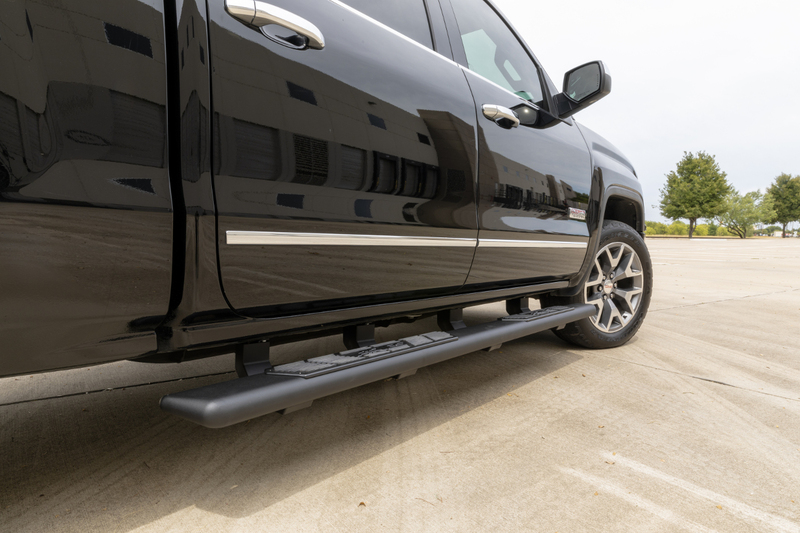 Other side step options with the VersaTrac® system include ARIES AdvantEDGE™ side bars, ARIES RidgeStep™ running boards and LUVERNE SlimGrip™ running boards. We also offer VersaTrac® bracket covers to provide the running boards with a more finished and fuller look on the vehicle. Visit the ARIES AscentStep™ Learn More page for more.